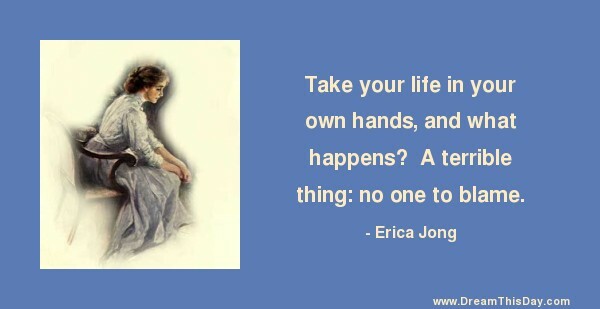 Take your life in your own hands, and what happens? A terrible thing: no one to blame. but only empties today of its strength. it is full also of the overcoming of it.